July 04, 2018, 8:48 p.m.
Nigel Lawson once described the NHS as the closest thing that the English have to a religion. This week as the service celebrates its 70th birthday, YouGov examines how levels of support for the NHS are holding up, as well as the public’s views on the health service’s principles, and their expectations for its future. 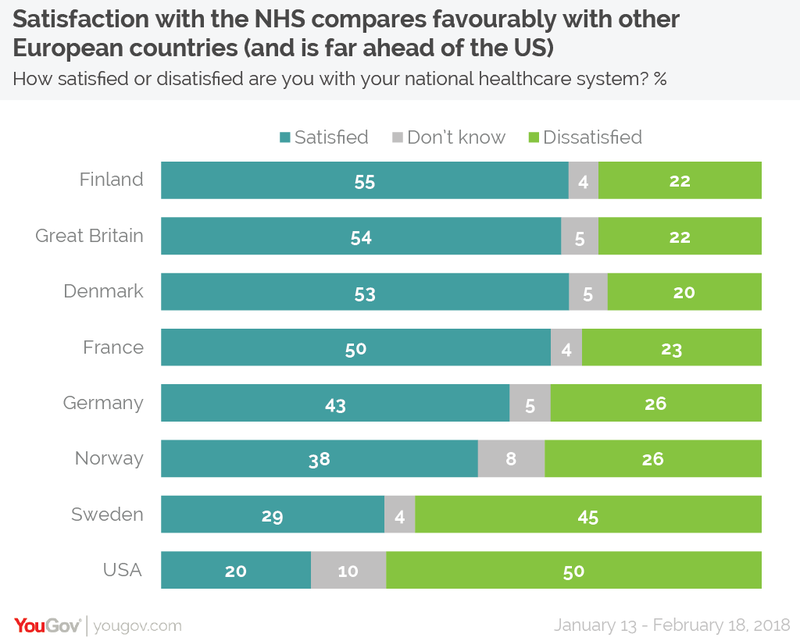 Over half of Brits (59%) are satisfied in the national healthcare system, with a fifth (20%) saying they are neither satisfied nor dissatisfied, and a further fifth (22%) saying they are dissatisfied. As a comparison, this puts Britain second of the eight countries surveyed, with similar satisfaction levels to Finland (55%) and Demark (53%), but higher levels of satisfaction than Germany (43%), Norway (38%) and Sweden (29%). The US, which has a mostly privatised system, comes bottom with only one in five (20%) satisfied while fully half of Americans (50%) are dissatisfied. 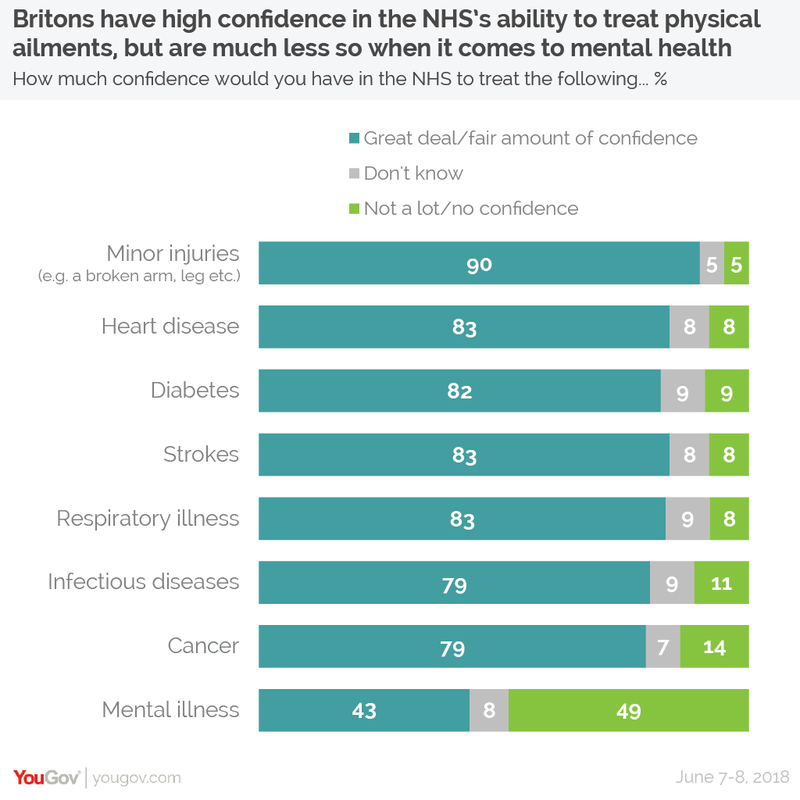 Beyond this overall satisfaction in the service, the British public also have high levels of confidence in the NHS to treat most illnesses. Around eight in ten members of the public have a great deal or a fair amount of confidence in the service to treat most common illnesses, such as respiratory illness, heart disease and strokes (83% for each), diabetes (82%), and cancer and infectious diseases (both 79%). For minor injuries, such as a broken arm, confidence rises to nine in ten (90%). Of the health issues we asked about, the only area where the public doesn’t have faith in the NHS is when it comes to mental health issues. Whilst over four in ten (43%) have a level of confidence in the NHS to treat mental illnesses, almost half (49%) have either no or not a lot of confidence. The basic principle behind the NHS – that healthcare should be funded from general taxation for everyone – is still widely accepted. Seven in ten (69%) people still back the basic principle behind the NHS – that healthcare should be funded from general taxation for everyone. Other options get noticeably less public support. One in nine (11%) think there should be a hybrid system where healthcare is funded by compulsory health insurance for everyone, paid for from taxation for the least well off, and deducted from other people&apos;s wages. Just 4% believe in a more American-style system, where healthcare should only be funded by taxation for the least well off, with other people choosing to take out voluntary insurance if they wish. When asked for who should pay for the different services, the public support most services being free at the point of access. The main exception to this is prescriptions. 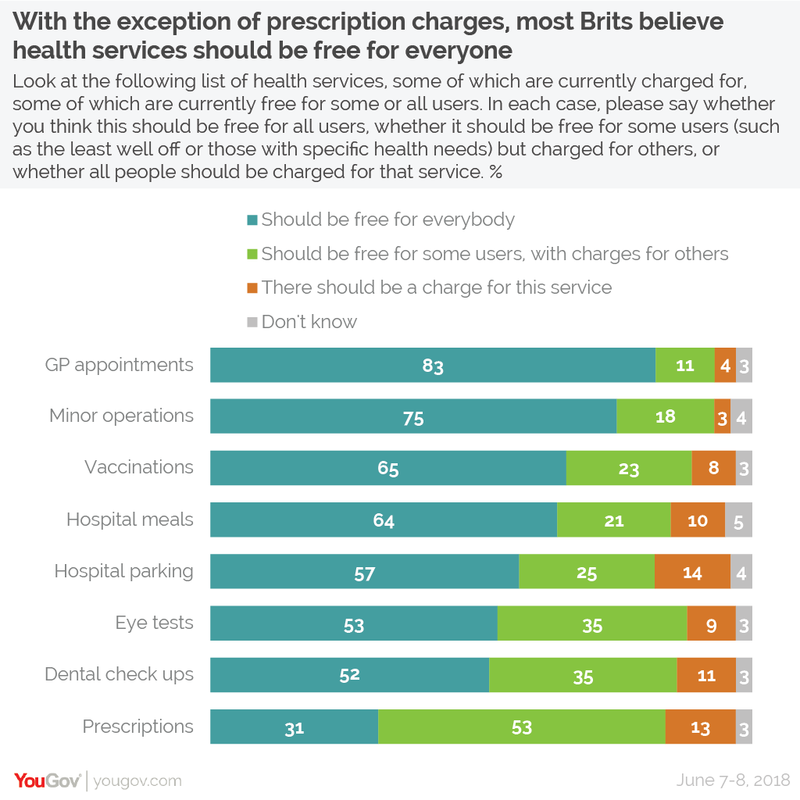 Here, a majority (53%) believe that there should be charges for some users but it should be free for others (which is broadly in-line with current policy). 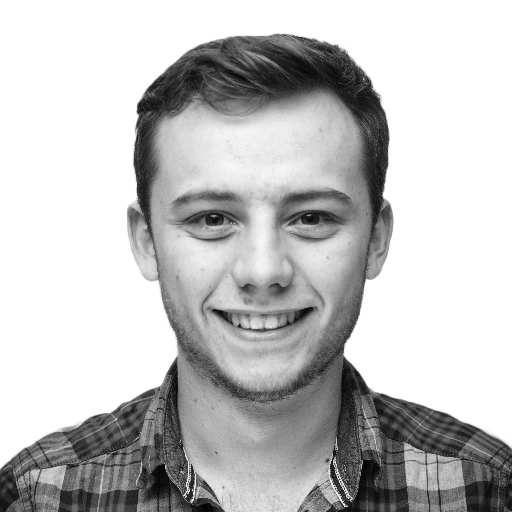 Despite this, there is a real worry that provision will deteriorate in the future. A majority (51%) expect services to get worse over the next few years, with a quarter (24%) thinking they will stay the same, and just one in six (16%) believing they will get better. 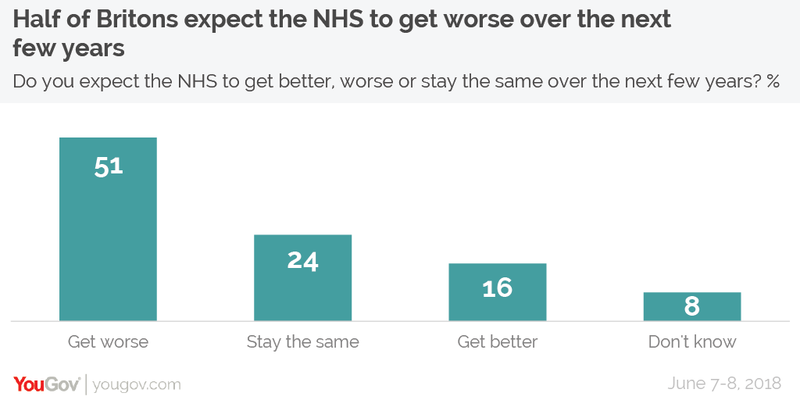 Whilst it is fair to say that the public usually expect things to get worse – these numbers are in fact similar to what we measured in 2012 – there has been a noticeable deterioration in the public’s perception of how the government is running the NHS. Nearly three quarters (73%) believe it is handling the service badly, up from 63% in 2012. This compares to around one in six (16%) who think they are dealing with it well, down from 26% six years ago. 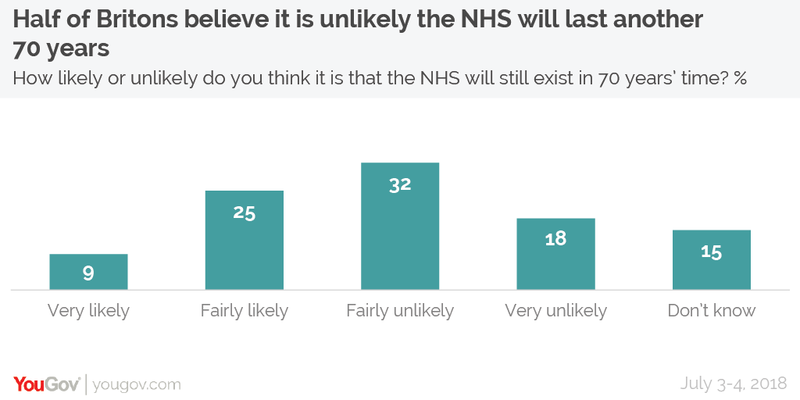 Concerns about the service’s future are so high, in fact, that a dark statistic looms over the nation’s celebrations of the NHS’s first 70 years: fully half of Britons (50%) believe that it is unlikely that the NHS will last another seven decades.